We know this is not exactly the news flash of the century, but we feel we need to sing the praises of wallpaper. 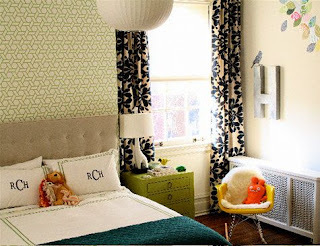 Since it's reputation took a dive after some well-meaning 1960's and 70's decorators over-used the popular prints of the decade, it was considered totally "out" in the 90's and has slowly and quietly crept it's way back into our hearts! Decorating a nursery about 6 months ago, one AK staffer searched HIGH and LOW for a proper pink and white Damask print paper and wound up doing her own stenciling on the wall. (A decision she regretted during the 12+ hours of painting, but the end result is stunning.) We realized at that point that despite wallpaper making it's way back onto the front page, it can still be hard to find - at least in it's new, more glamorous forms. The wallpaper books at Lowe's and Home Depot looked like they had been collecting dust since buyers were picking out their big 1980's floral print papers. Selection was disappointing. Where we found a better selection was at paint stores, like Sherwin Williams and the like. 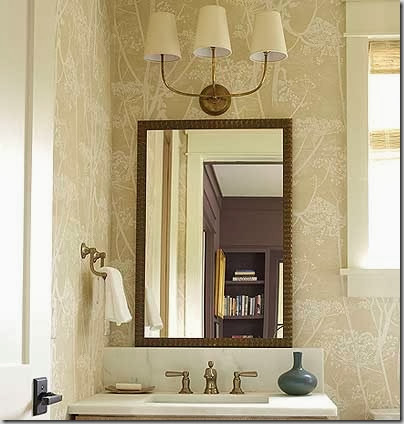 Do you know a great, Atlanta area wallpaper source? We'd love to hear and share your nominations! Borders are so yesterday...Accent walls are where it's at for your baby's chic crib! Texture is the name of the game for this room. Accent walls and dark colors, surprisingly, can liven up this small space. Really fabulous work for home renovation.The wallpaper and the color perfectly matches for the home.Also the bath room and bed room has awesome design with the latest style.Also there is high end finishing of the work with greater accuracy. Thanks for the marvelous posting! I definitely enjoyed reading it, you happen to be a great author.I will be sure to bookmark your blog and will eventually come back later in life. I want to encourage you to definitely continue your great posts, have a nice morning! Thank you Nel. We appreciate your comments & feedback. We clicked through to your floorlamps...some very nice & unusual ones!